Natural health experts tout drinking apple cider vinegar as a remedy for a host of ailments: from using it as a digestive aid to soothing a sore throat to getting rid of dandruff and foot odor. The dental community, however, warns that apple cider vinegar can be bad for your tooth enamel due to its high acidity. 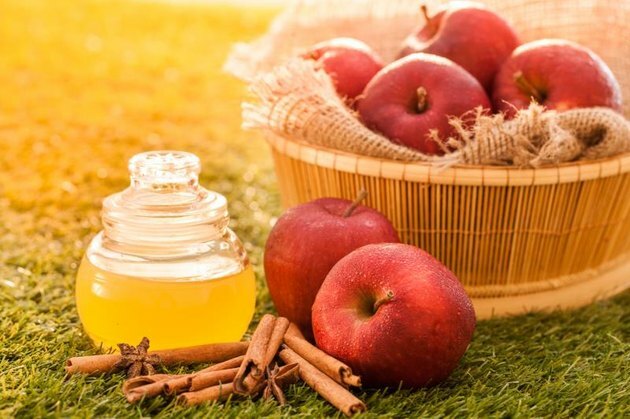 Apple cider vinegar is made from apple juice and fermented twice, becoming apple cider in the first round and then transforming into vinegar in the second. At that point, the substance becomes a mixture of probiotics, beneficial bacteria and enzymes, especially when left in its unfiltered and unpasteurized state, recognizable by a cloudy blob at the bottom referred to as "the mother." One reason apple cider vinegar fans drink it is because the mother is full of beneficial enzymes, pectin and trace minerals, functional medicine practitioner Dr. Tina Discepola said in Mindbodygreen. Apple cider vinegar is a popular folk remedy recommended for numerous internal and external uses. Proponents claim that it can aid in whitening your teeth, fight tooth decay, help heal chronic gum infections, support immune functions, assist in losing weight, regulate blood sugar and reduce risk of heart disease. It's also used to clean external surfaces – for example, fruits and vegetables when combined with lemon juice – and is suggested as a tonic to help clear skin of acne and remove the buildup of products in your hair. There is not a lot of scientific research, however, to back up its effectiveness or confirm its safety. Although apple cider vinegar has been touted as a miracle cure, when it comes to your tooth enamel, the acetic acid in the vinegar is terrible for it; rinsing with water might not prevent damage to the enamel. The vinegar has a pH level of 3.075, a level that makes it more harmful than coffee, but less harmful than lemon juice. 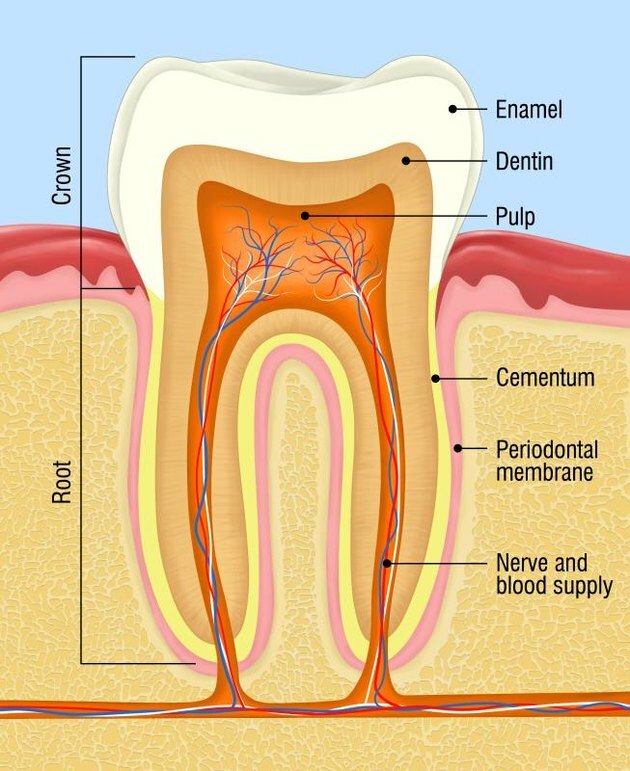 Tooth enamel begins dissolving at a pH level of around 5.5, depending on the individual. Because tooth enamel is left in a weakened state after coming into contact with apple cider vinegar, it can be worsened if you brush your teeth right after sipping it or gargling it in your mouth. Instead, wait half an hour after consuming something acidic before brushing to avoid removing enamel when it's in a tender state. If you're going to ingest apple cider vinegar, there are a few things you can do to mitigate the risk to your enamel: One way is to water it down before drinking it, placing one teaspoon of apple cider vinegar in 8 ounces of water. Another recommendation is to sip it with a straw, minimizing the acid's contact with your teeth. You can also mix it with olive oil to create a salad dressing and eat it with other food types to balance the pH levels. Journal of the Canadian Dental Association, Dec 2003: What Is the Critical pH and Why Does a Tooth Dissolve in Acid?